At the Piatchek Law Firm, attorney Joseph J. Piatchek is available to answer questions and guide clients through the probate process. Our experienced lawyers can help your family through the probate process in many county courts throughout Missouri. Probate law can be very complicated. A good place to start is to review what probate is and when it is required. Probate is required when someone passes away, and there is still property titled into the name of the deceased person. Essentially, when someone passes away, any property that is still titled in the deceased person’s name becomes “stuck” that way. Probate is the process of getting the property “unstuck” (i.e., out of that deceased person’s name) and delivering it to the rightful heirs or beneficiaries. If a decedent passes away without a will, Missouri state law determines who will be the deceased person’s heirs. If the decedent did have a last will and testament, the will will determine who the deceased person’s beneficiaries are. Our attorneys can assist you with the probate process by first determining which assets need to be probated and then by determining which assets may avoid probate. Once our attorneys have helped you narrow down the exact property that must be probated, note that there are several different ways that assets can be probated in Missouri. You will need the expertise and advice of our experienced attorneys to guide you through the appropriate method of probate, depending on the size and nature of the assets involved. Your attorney should know the differences between the various methods of probate, so that they can tell you which method will be the most expedient and affordable for you. What Should I Expect from Probate? Put another way, if you get into a hurry during the probate process, you will likely be disappointed time and time again. The probate court is designed to be very deliberate and comprehensive. Therefore, probate often takes a good deal of time. Creditors are typically allowed time to file claims. Real estate and property must be gathered, valued, and sold. Claims by creditors of the estate must be paid. There are timelines and notice requirements under Missouri probate law, and the probate court needs time to carry out all these functions. All in all, probate is not a quick process. Let us be clear – this is no excuse to take things slow. Our attorneys will be as expedient and diligent as possible. However, that being said, probate can be a long process, and we don’t ever want to hide or sugarcoat that fact. At the Piatchek Law Firm, we help people navigate probate court while attempting to minimize the delays and confusion often associated with the probate process. For help with your probate case, call us at 417-882-5858 or contact us to schedule a complimentary consultation. Currently, all four of our attorneys are probate attorneys in one way or another. Attorney Joseph J. Piatchek regularly assist clients with all types of probate cases. We can also handle contested probate cases and probate litigation. We can explain Missouri’s probate laws, answer your questions, guide you through the process, and assist you with the orderly administration of probate estates. If you contact us, we would be happy to meet with you and guide you through each step, from the opening of the estate, to paying debts and distributing inheritances, to the closing of the estate. Additionally, our firm can help you avoid probate by structuring your estate plan in advance. 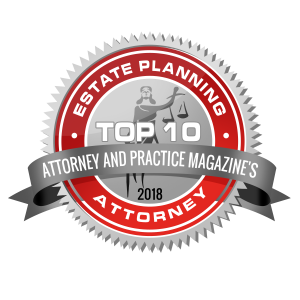 Revocable living trusts, POD, TOD, non-probate transfers, and even business entities are just some of the tools we utilize when completing the estate planning process to avoid probate. We can discuss other potential techniques if you are interested in the asset protection process for you and your family. And as always, remember that wills do not avoid probate!